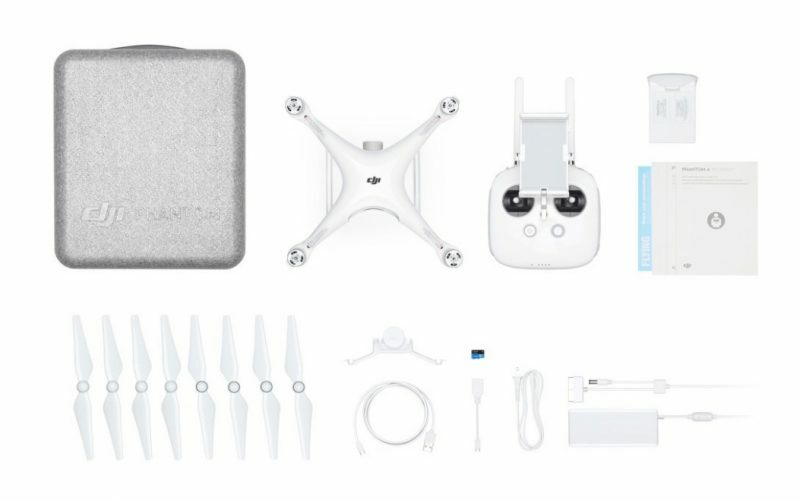 Designed for high-quality aerial photography and cinematography, the DJI Phantom 4 PRO is the most intelligent, easy-to-operate flying camera drone available for less than $2,000. It’s like an entry-level DSLR for the sky. 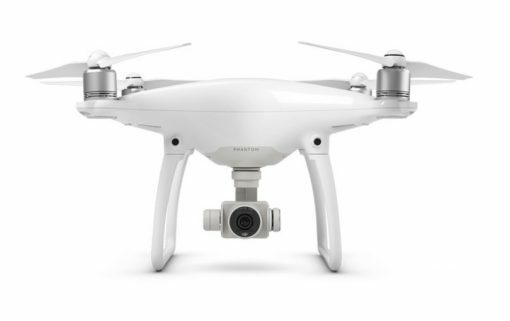 Like its successful predecessor, the Phantom 3 Pro, the Phantom 4 PRO is designed for professional high-resolution aerial photography and film making. 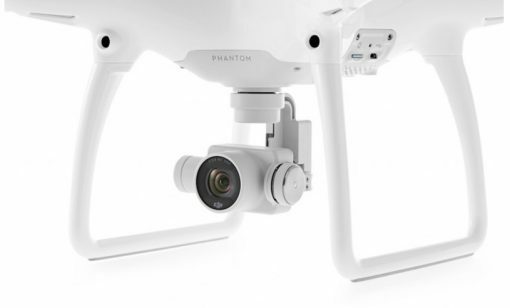 The Phantom 4 PRO comes complete with a 4K camera (1 inch CMOS), gimbal, controller and integrated software. 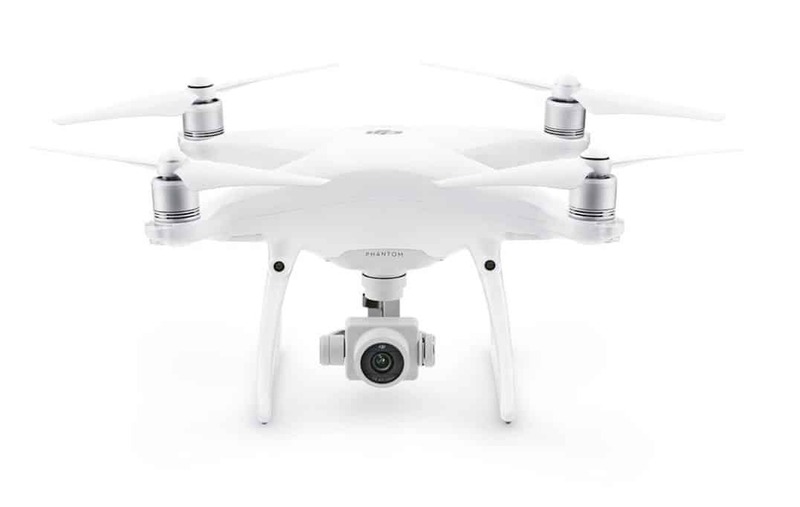 It’s ready to shoot, right out of the box. The new Phantom 4 PRO is also equipped with dual-mode GPS+GLONASS receivers for autopilot redundancy and DJI’s unique vision navigation system, which makes navigating close to the ground and inside buildings a breeze – without the need for GPS. 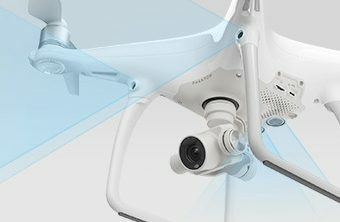 The biggest breakthrough for the Phantom 4 series is its inclusion of a new Optical Sensor unit and real-time 3D vision system that makes it capable of automatically detecting and avoiding obstacles while in flight. 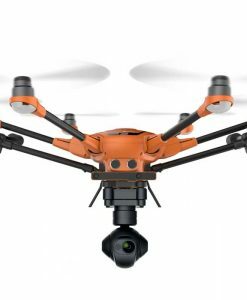 If the drone detects an object in its path, it will either full brake or automatically plot a course around the object, if it can. 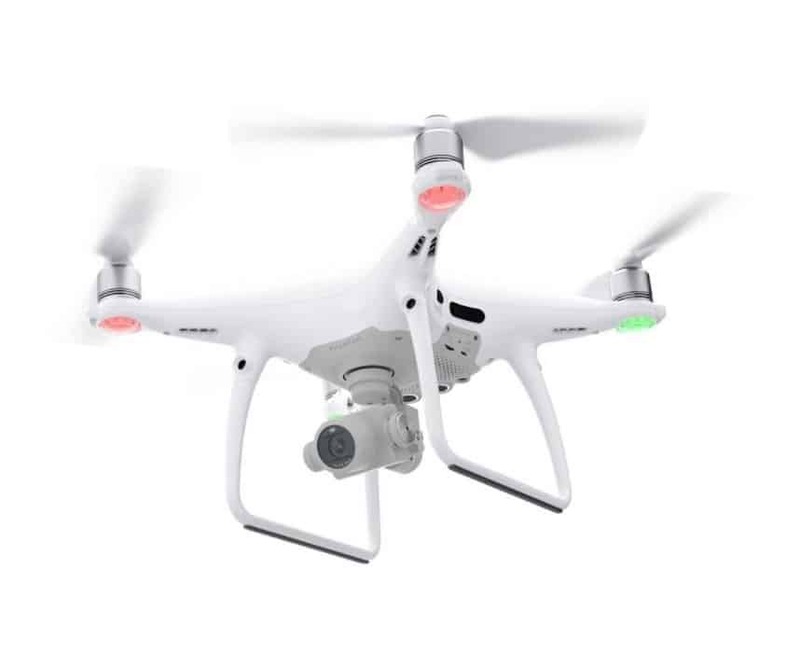 Obstacle detection and collision avoidance provide an entirely new level of safety and convenience for the operator, and it makes planning and navigating a shot simpler and darn near foolproof. To do this, the Phantom 4 PRO uses forward-looking, rear-looking and downward-looking optical sensors to detect objects up to 50 feet in front of and 30 feet beneath the platform. 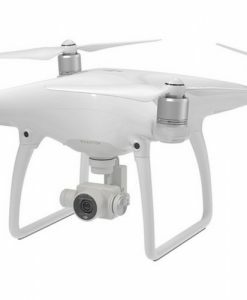 The vision is stereoscopic, which means the Phantom 4 sees in 3D. 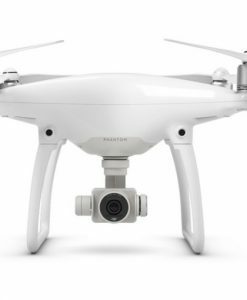 The Phantom 4 leads all other ready-to-fly camera drones in this really important feature… although Yuneec’s Typhoon H is catching up fast. 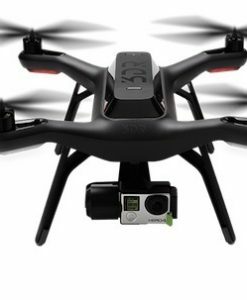 Hopefully, it will result in fewer crashes and props, for you. 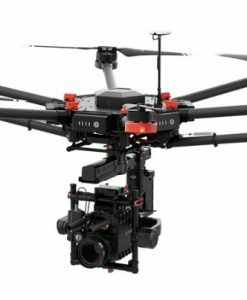 The other notable upgrades are new advanced camera and flight automation modes, Active Track, Draw and TapFly, which make professional-quality film making even easier. With the Phantom 4 PRO, however, professional film makers get three more advanced flight/camera modes, ActiveTrack, Draw and TapFly, that simplify the planning and execution of high-quality, interesting and dramatic shots. 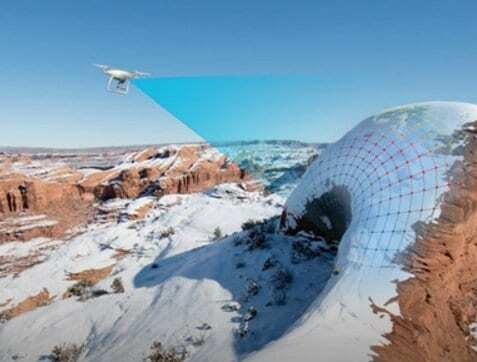 All rely on the new Optical Sensors to make sense of the surroundings. 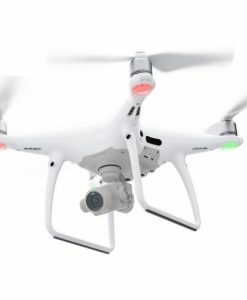 Want your shot to follow a fast-moving object automatically? 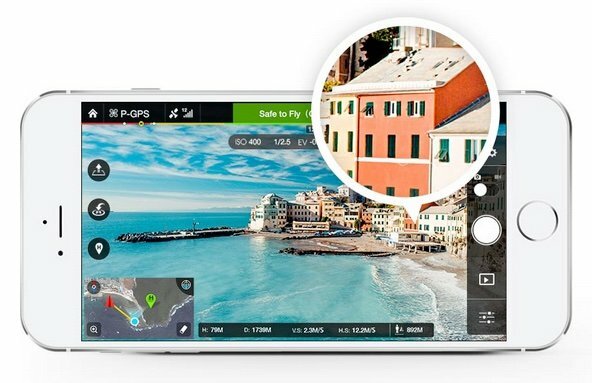 Now you can just tap on any object in the camera’s Live View, and the camera will stay focused on it. 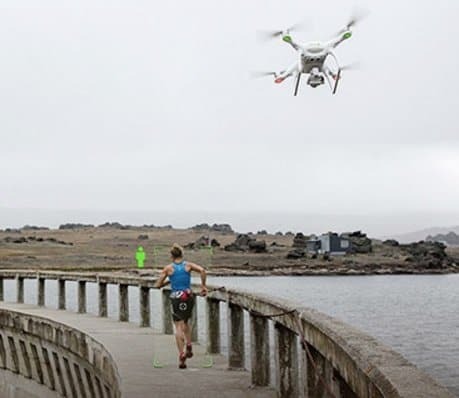 The vision system automatically detects multiple objects as it flies, so all you need to do is select one. Want to fly a panoramic view of a majestic coastal estate? 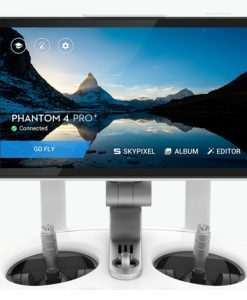 Now you can just draw your flight route on-screen, and the Phantom 4 PRO will move along that line while keeping its altitude stable. There are two Draw modes to choose from: Standard mode moves at a constant speed, allowing the operator to focus totally on the shot. 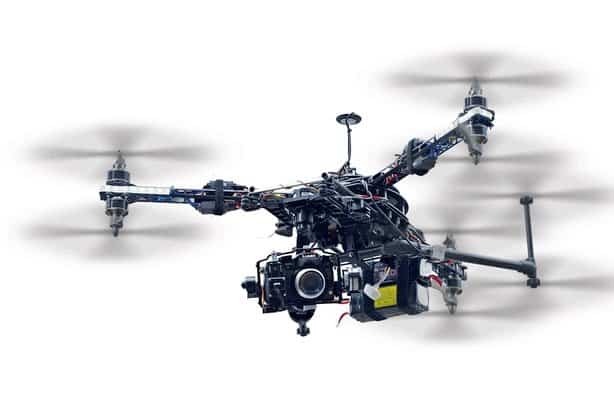 In Manual mode, the operator controls the speed and the camera. 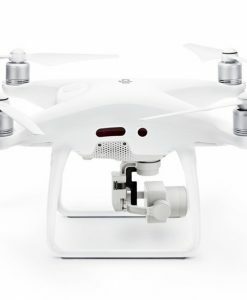 Tap on any location in the Live View, and the Phantom 4 will fly there. 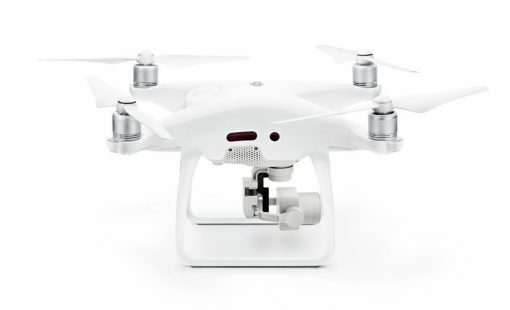 If there’s an obstacle in the way, it will fly around it – automatically. 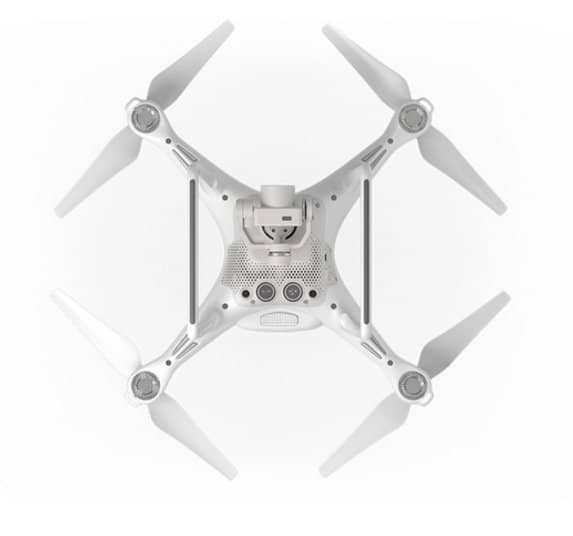 Flight dynamics and performance have been upgraded, as well. 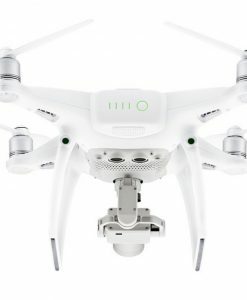 Compared with the Phantom 3 Pro, the Phantom 4 flies a few minutes longer (28 mins vs 23), is faster (45 mph!) and weighs slightly more, so it’s a bit more stable underway. 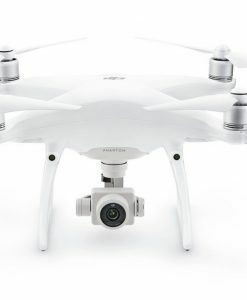 The Phantom 4 PRO’s range is greatly extended – it can fly up to 4.3 miles away from the controller, more than twice the range of most other RTF camera drones. 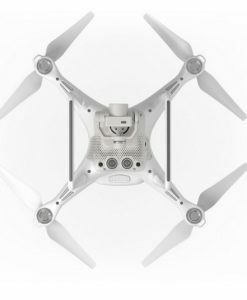 The props have a new quick-release feature that simplifies repairs and packing. The motors have been upgraded, too. 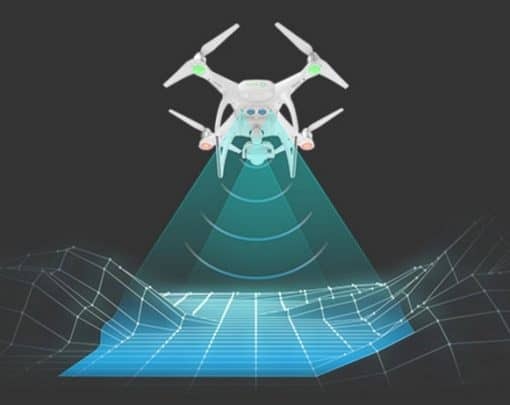 According to DJI, they are more efficient and operate more smoothly. 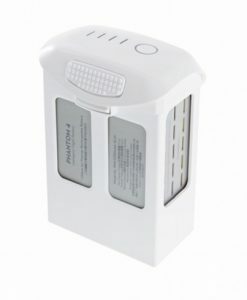 The included 30-minute intelligent batteries are now smaller, more powerful and easier to swap out. 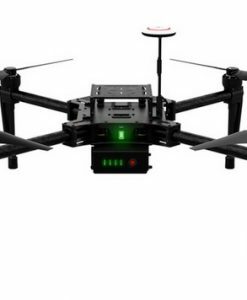 The advanced battery system works in conjunction with the flight control system to automatically alert you to near-depleted battery status – it can even return the drone home, automatically, when batteries run too low. 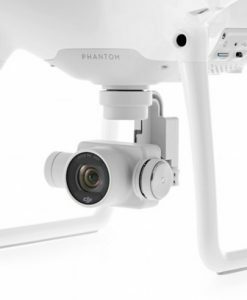 On its already excellent flight controller, DJI has swapped-out the Playback button for a new Intelligent Flight Pause button. 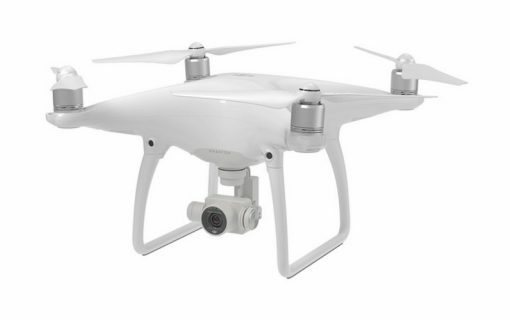 It also offers 2 programmable buttons. 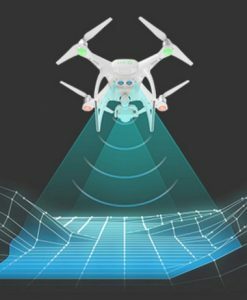 The Return Home function is also improved, because now the Phantom 4 can automatically navigate around obstacles on its way back to you. 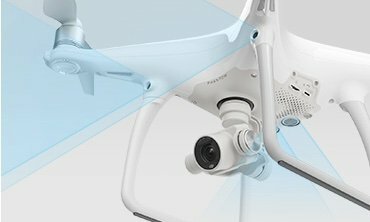 The Phantom 4 PRO controller comes with a new Sport mode button which boosts power temporarily to add a kick in speed. 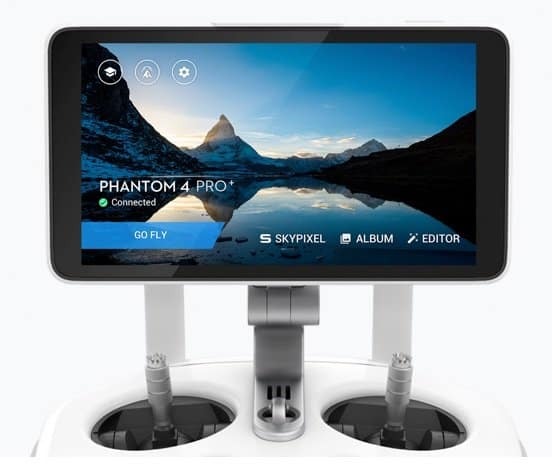 As in prior models, just connect your phone or tablet (iOS or Android) to the USB port on the controller and you’re ready to film. The Phantom 4 PRO streams live video direct to your device in 720p from a distance of up to 1.2 miles. And your phone will charge while connected to the controller. 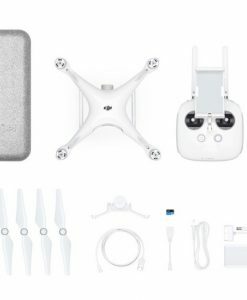 For an additional $300, the Phantom 4 PRO+ adds a 5.5 inch dedicated 1080p display that is exceptionally bright and integrates the DJI Go app into it. 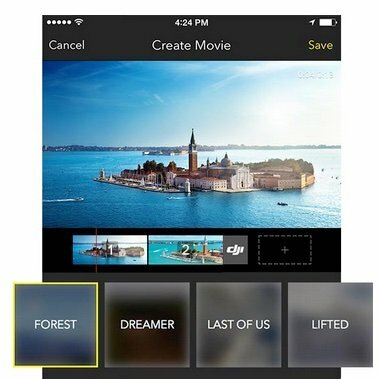 edit, publish and share video – straight from your phone or tablet. 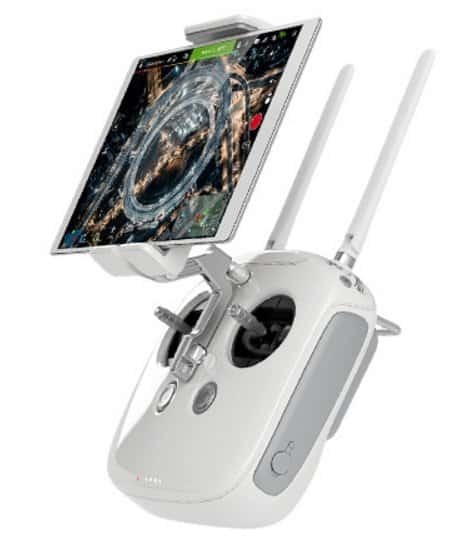 Using the DJI Video Editor app on your smartphone or tablet, you can create professional-looking movies in minutes. 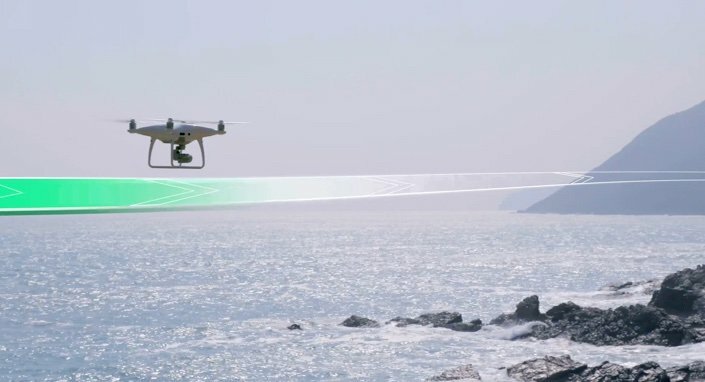 In this 14-minute walk through video, Norman Chan goes deep into the real-world capabilities of the Phantom 4 and its new collision avoidance and flight modes. Overall, the Phantom 4 PRO is the most advanced ready-to-fly camera drone available anywhere, for anything close to this price. 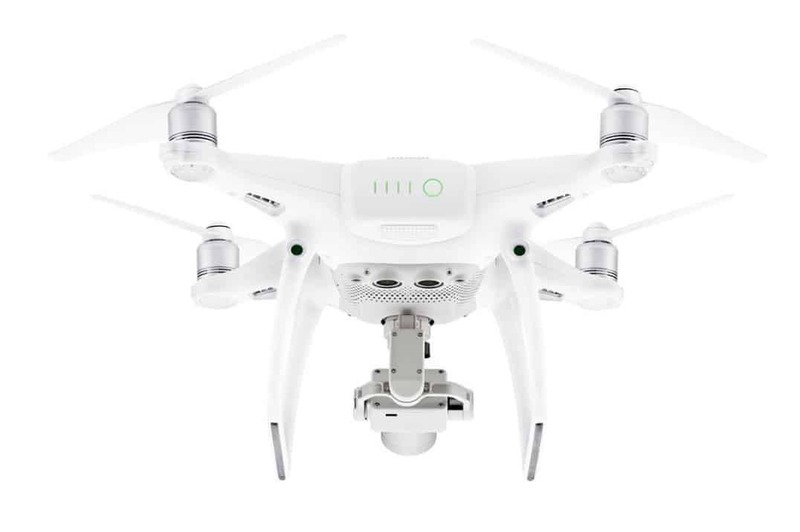 It’s the perfect camera drone for professional real estate marketers, film makers, aerial photographers and others who need super-crisp footage but don’t want to waste time planning – and missing – the shot. Small size makes it an easy traveler.